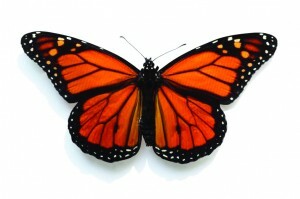 Monarch butterfly numbers are in freefall. A January 2014 count by the World Wildlife Fund shows North America’s population has hit an all-time low – and may disappear completely. That’s not news to the Hamilton Naturalists’ Club. But it does make its latest project, with partner Environment Hamilton, all the more important. Supported by an HCF grant,“Transformations: Hamiltonians creating and restoring monarch habitat” aims to create monarch butterfly and pollinator habitat at several Hamilton sites, a solution scientists recommend to help the species. It will teach youth about the importance of the monarch and other pollinators in sustaining plants in natural, agricultural and urban landscapes, environmental threats and, most important, what they can do to help. Students will grow pollinator-friendly plants such as bee balm, milkweed and coneflower from seed in their classrooms, then head out to do the planting at the Naturalists’ Club’s Lands Inlet site and the remediated Rennie landfill in the Red Hill Valley. The grant will also help families to find out more about the project at four community days. The public can learn about the importance of monarch habitat at the planting sites and other events held across the city, including “build your own pollinator box” workshops.